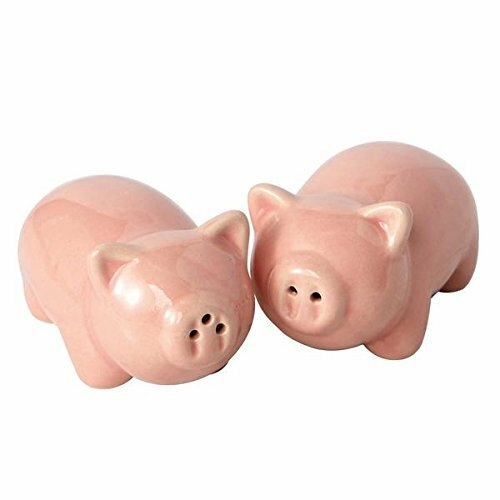 Pigs Ceramic Salt & Pepper Shakers. Hand-painted ceramic sets include 1 salt and 1 pepper shaker. Hand wash and dry, not dishwasher or microwave safe. Pigs Ceramic Salt & Pepper Shakers. Hand-painted ceramic sets include 1 salt and 1 pepper shaker. Spice up your kitchen with DII's Ceramic Salt & Pepper Shakers! Hand wash and dry, not dishwasher or microwave safe. If you have any questions about this product by Design Imports, contact us by completing and submitting the form below. If you are looking for a specif part number, please include it with your message.